For other uses, see Sèvres (disambiguation). Sèvres (French: [sɛvʁ] ( listen)) is a commune in the southwestern suburbs of Paris, France. It is located 9.9 kilometres (6.2 miles) from the centre of Paris and is in the department of Hauts-de-Seine in the region of Île-de-France. The commune is known for its famous porcelain production at the Manufacture nationale de Sèvres, which was also where the abortive Treaty of Sèvres was signed, and for being the location of the International Bureau of Weights and Measures. Sèvres is a commune in the western suburbs of Paris, 10.5 km (6.5 mi) to the west of the Cathedral of Notre-Dame de Paris, with an eastern edge by the River Seine. The commune borders the Île Seguin, an island in the River Seine, in the commune of Boulogne-Billancourt, adjoining Sèvres. View of the commune of Sèvres in red on the map of Paris and the "Petite Couronne"
The area of the commune is 391 hectares (970 acres). The altitude varies between 27–171 metres (89–561 ft). Work at Sèvres, including for the construction of the expressway, permitted an update of interesting fossils in different geological layers. For example, in chalk, some types of sea urchins, belemnite beaks, rhynchonellas, and oysters were found; in the coarse limestone, ammonites. The Ru de Marivel [fr] which empties into the Seine 80 metres (262 feet) upstream of the Pont de Sèvres. The climate of île-de-France is oceanic. The popular observation stations for meteorology at Sèvres are Orly and Vélizy-Villacoublay airport. Sèvres is traversed from side to side by the RN 10, today downgraded and allowing connection of the city to Boulogne-Billancourt and Chaville. It is also the starting point of the RN 118 at the level of the Pont de Sèvres. Bus routes 169 [fr], 171, 179, and 426 [fr] of the RATP bus network, route 469 [fr] of the Établissement Transdev de Nanterre [Transdev establishment of Nanterre], route 45 [fr] in the Phébus bus network [fr] and at night by N61 [fr] and N145 [fr] of the Noctilien route network. The city makes one minibus available to people with reduced mobility, L'autre Bus [The Other Bus]. Sèvres is served by Sèvres-Rive-Gauche [fr] station on the Transilien Paris – Montparnasse suburban rail line. It is also served by Sèvres – Ville d'Avray station on the Transilien Paris – Saint-Lazare suburban rail line. It is also served by the Musée de Sèvres and Brimborion stations on Line 2 of the Tramway of Île-de-France which links Paris - Porte de Versailles and La Défense. INSEE has divided the commune into ten islets grouped for statistical information. In the project planning and sustainable development (PADD) approved 10 May 2007, the commune displays an ambition to maintain its population around its situation of early 2005. It has a commitment to offer every household in the commune the opportunity to live and grow in Sèvres, and a stake in preserving its fabric of facilities and local businesses. Studies conducted in the context of the PLH [fr] show that by 2015, this would involve the construction of approximately 40 homes per year (taking into account of the transformation of the former park, of the reduction of the vacancy rate and the loosening of household size) to maintain the communal population. In 2005, the commune had 24.5% of its total as social housing. These homes are mostly located along the RD 910, around the city centre. The commune displays a desire to preserve this social mix by ensuring a diversity of different types of housing, under the framework of future construction operations. As such, it shows the will to maintain its social housing stock at around 25% of the total stock of main residences. On the other hand, private rental declined between 1990 and 1999. An effort in favour of this type of housing will be always sought in order to maintain the diversity of population profiles. Some areas of the city are poorly provided with social housing, and the development of this type of housing should allow a better balance across the commune. The development of links between the banks of the Seine, the city, parks and woodlands by pedestrian openings designed to develop a frame of soft East/West links. Such as linking Saint-Cloud Park / île Monsieur, between Brimborion Park and the Brimborion tram station, along the Seine, a development project of the entrance of Sèvres and the vicinity of the Museum of Manufacturing by the creation of a pedestrian/bicycle along the Grande Rue, behind the wall of the Museum. Sèvres took the name of the river which ran through it. Sèvres includes radical sav-, sab-, in the sense of "hollow" or radical sam- "quiet". These radicals are often used in hydronymy. The root is the same for the Sèvre Nantaise and the Sèvre Niortaise which gave its name to the Department of the Deux-Sèvres. The town of Sèvres existed in 560, when Saint Germain, Bishop of Paris, healed a sick person and built the church. The Church of Saint-Romain-de-Blaye, current and several times revised, dates from the 13th century. There was a seigniorial château. The manufacture de Sèvres was formed in 1750, by the Ferme générale; they were held by the Marquis de Fulvi who operated at Vincennes. In 1756, Madame de Pompadour transferred the Vincennes porcelain factory to Sèvres. It was moved to the location of the Guyarde, the former resort of Lully. In 1760, Louis XV bought the factory which thus becomes 'royal'. The Pont de Sèvres, which was of wood, was begun in stone in 1809 and finished in 1820. In 1815, the inhabitants of Sèvres, along with some soldiers, tried to resist the Prussians who occupied and looted Sèvres, despite the capitulation signed at Saint-Cloud. 20 May 1875: After the signing in Paris of the Metre Convention, which decided amongst other things the construction of a new metre standard in a platinum-iridium prototype, it was deposited at the International Bureau of Weights and Measures (BIPM) within the confines of the Pavillon de Breteuil in the Parc de Saint-Cloud. The French government "offered this building" to the BIPM. The main lodge was, then, in a near state of ruin, following the Prussian bombardment of the War of 1870. The renovation was therefore supported by the international bureau. A treaty was signed in the large room which currently houses the Museum of Porcelain at Sèvres, it was a peace treaty between the Allies and the Ottoman Empire, to the detriment of the latter. Protocols of Sèvres (sometimes referred to as 'agreements') are a secret seven-point agreement recording in writing a tripartite agreement between Israel, France and Great Britain in response to the nationalisation of the Suez Canal by the Egyptian leader Nasser. In 1961, the renovation of old town centre, which was unhealthy, accompanied by the deviation of the RN 10, was committed to by the municipality of Dr. Odic, and included the demolition of 1,500 houses and the construction of 1,600 new houses, along with 42,000 square metres (450,000 sq ft) of offices or commercial premises. The municipality of Jean Caillonneau redirected urbanisation at the end of the 1980s to promote the establishment of offices in order to "remake Sèvres as a dynamic and industrious city". Since the elections of 2007, Sèvres belongs to the communes of more than 3,500 inhabitants, using voting machines. In the referendum on the Constitutional Treaty for Europe on 29 May 2005, the Sevriens mostly voted for the European Constitution, with 69.93% in favour against 30.07% not in favour, with a 24.08% abstention rate (entire France: No at 54.67%, Yes at 45.33%). At the 2007 French presidential election, the first round saw Nicolas Sarkozy in the lead with 35.58% or 4,750 votes, followed by Ségolène Royal with 26,09% or 3,212 votes, and then François Bayrou with 23.35% or 2,875 votes, no other candidates exceeded the threshold of 5%. In the second round, 56.40% or 6,661 voted for Nicolas Sarkozy with 43.60% or 5,149 voting for Ségolène Royal, a result which was more disposed than the national average. In the second round, 53.06% voted for Nicolas Sarkozy and 46.94% for Ségolène Royal. For this presidential election, the turnout rate was very high. There were 18,455 registered voters in Sèvres, 89.56% or 16,528 voters participated in the ballot, the abstention rate was 10.44% or 1,927 votes, with 0.54% or 90 votes conducted as a blank vote, and finally 99.46% or 16,438 votes were cast. In the municipal elections of 2014 [fr], a list of the Miscellaneous Right led by Grégoire de La Roncière opposed the list led by the outgoing mayor, François Kosciusko-Morizet [fr] (UMP), and then by Laurence Roux-Fouillet after the withdrawal of the latter. In the second round, on 30 March, the Miscellaneous Right list gained two more votes than the UMP list (3279 votes against 3277). On 4 April, Grégoire de La Roncière was elected Mayor of Sèvres by the new municipal council. Sèvres has implemented a Communal Youth Council, so as to involve young people in the life of the commune. Sèvres is within the jurisdiction of the Tribunal d'instance as well as in that of the police court in Boulogne-Billancourt. The municipality wishes to enhance its environmental richness (forests, banks of the Seine, built heritage, topography, etc.) which is an asset in terms of image for the city and quality of life for its inhabitants: "It should preserve those elements which are the links of a string of parks and gardens which are also involved in large landscape continuity, of opportunities for walks and tours at an intercommunal level". Furthermore, the commune of Sèvres signed a cooperation agreement with the Mărăcineni commune in Romania, in 1991. 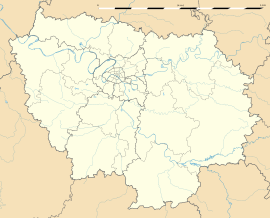 The commune of Sèvres was a member of the Agglomeration Community of Val de Seine and is a member of the Communauté d'agglomération Grand Paris Seine Ouest [fr] since its inception on 27 November 2008, along with the communes of Boulogne-Billancourt, Chaville, Issy-les-Moulineaux, Meudon, Vanves and Ville-d'Avray. The population of the commune is relatively young. The rate of people over 60 years age (17.7%) is higher than the national rate (21.6%) while being less, however, than the departmental rate (17.7%). The city administers six nursery schools and five primary schools. The department manages a middle school (collège) and the region of Île-de-France a senior high school/sixth-form college (lycée) by the name of Lycée Jean-Pierre-Vernant in memory of the Compagnon de la Libération [fr] and historian. The college/high school welcomes the international sections of Sèvres (bilingual French/English and French/German) recognised for their excellence. These international sections [fr] prepare undergraduate French and OIB (Baccalauréat International Option). Sèvres also boasts a private institution (school and college): The Jeanne-d'Arc [Joan of Arc] School. Strate School of Design a private institution for technical education teaching industrial design, 3D modeling and design thinking is also located in Sèvres. The Maison d'enfants de Sèvres [fr] operated from September 1941, under the direction of Yvonne Hagnauer (Goéland), until November 1958 at 14 Rue Croix-Bosset. It then moved to the Château de Bussières, on the opposite bank of the Seine. In 1991 it became the College Jean-Marie-Guyot. The École normale supérieure of young girls was created in Sèvres in 1881. It then moved to Boulevard Jourdan, Paris, before merging with the École Normale Supérieure, in 1985. It held the old buildings of the porcelain factory, which today houses the International Centre for pedagogical studies [fr]. On the last Saturday of September is "The Dictation of Sèvres" writing competition. This has been held since 2007. Sèvres is home to one of the sites of the Centre Hospitalier de 4 Villes [Central Hospital of 4 cities]. Since 1 January 2006, this centre brings together the Centre Hospitalier Intercommunal Jean Rostand, (which already included Chaville, Sèvres and Ville d'Avray) and the Centre Hospitalier de Saint-Cloud. The site of Sèvres specialises in hospitalisation and consultation in maternity/gynaecology/fertility and medical services. Sèvres hosts the French Federation of Sport Blowgun (France Sport Blowgun Association), founded in 2004 by Stéphane Jouanneau (Blowgun Long-Distance Vice World Champion). The Sèvres Football Club senior team is currently coached by Alexandre Matejic, a former professional footballer, and winner of the 2004–2005 Coupe Gambardella [fr] with Toulouse FC. Operating in the departmental divisions, Sèvres FC just missed reaching the 4th round of the Coupe de France 2008-2009. Indeed, playing against Red Star (then in CFA) at the Fountains Stadium, Sèvres FC opened the score in the 7th minute through Thomas Millet. The score remained at 1-0 for seventy-five minutes, until the equalisation by Demba Diagouraga, for the team from Saint-Ouen. The Sèvres team, however, collapsed in overtime and lost four goals, giving the 'Greens' a 5-1 win after extra time. Having been a location which the 2012 Tour de France passed through on that year's final stage, Sèvres will host the departure for Stage 21, the final stage of the 2015 Tour de France, on 26 July, heading towards the year's ultimate finish line on the Champs-Élysées. Sèvres has been host to the internet radio station GOOM Radio, since 2007. Sèvres has places of Catholic, Jewish, Muslim, Protestant and Buddhist worship. Since January 2010, the commune of Sèvres is part of the deanery of the hills, one of the nine deaneries of the Diocese of Nanterre. Parish of Notre-Dame-des-Bruyères: Notre-Dame des Bruyères. It is at Sèvres where the Tinh Tam pagoda [fr] is situated. In 2010, the median taxable household income was €44,450, which ranked Sèvres at 960th position among the 31,525 communes with more than 39 households in metropolitan France. In 2007, the communal employment rate was close to 100% (10,369 jobs for 10,607 employable people who resided in Sèvres), which corresponds to the objective which was set out in the blueprint of the Val de Seine, to the horizon of 2015. The commune includes many listed monuments in the general inventory of French cultural heritage [fr]. The church[note 3] offers an amalgam of Gothic, redesigned and damaged by the 17th century: Outdoors, there is a clerestory tower which was disfigured. The rounded roof has been largely preserved, but it is much uncovered. The Way of the Cross, painted on porcelain, comes from the Manufacture de Sèvres, and stained glass windows, more than a century old. This church was inaugurated several times. It was founded by the Merovingian King Dagobert II in the 7th century, it was a Royal Parish under Marie Leszczyńska. The first municipal assembly, created by the edict of 1787, consisted of two members: The lord, namely King Louis XVI, and the priest, as well as nine other elected members. This assembly met in the church at the end of vespers or high mass. This church was listed in the inventory of historical monuments in 1937. Its bell, called Anette, was blessed in 1760 and listed in the inventory of historical monuments on 27 April 1944. The rectory was built between 1744 and 1786. This chapel was built in 1930, on the edge of the Route des Gardes. Established as a parish in 1962, destroyed in 1971, it was rebuilt at 23 rue du Docteur Roux in 1968. This building, located 26 Rue Troyon, was given to the Pompadour for a school for girls. It was rebuilt for Bacler d'Albe between 1816 (cadastre) and 1824 (death of general). Occupied in 1898 by a convalescent home for colonial soldiers, it is currently the Samuel Moorat Armenian College, but it is currently threatened, taking into account its state. The building of this factory, located at 16 Rue Troyon and built in 1744, was classified in the inventory of historical monuments on 1 December 1986. The current building dates from 1876. This building was classified in the inventory of historical monuments on 30 October 1935. The Manufacture nationale de Sèvres is a public establishment manufacturing ceramic in the tradition of the 18th century. The Maison des Jardies [fr] is the home of Balzac, Corot and Gambetta who died there on 31 December 1882. This house, located 14 Avenue Gambetta, had been bought by Balzac, which he occupied from 1837 to 1840, and was then leased by Gambetta in 1878. Founded in 1824 by Alexandre Brongniart, director of the Manufacture nationale de Sèvres, under the name of Ceramic and Vitric Museum. Anxious to present the history of the techniques of ceramics and vitreous materials, through the world and eras, the latter was one of the collections of ceramics of the most varied. The Museum brings together an exceptional selection of pottery, ceramics and porcelain. The Bureau International des Poids et Mesures (International Bureau of Weights and Measures), located in the Pavillon de Breteuil in Sèvres, keeps the measurement standards of the International System of Units (SI): the standard kilogram, atomic clocks, and other metrological devices. The estate on which the Bureau is located is international territory outside of French sovereignty. As such it was not occupied by German troops during World War II. The magnificent Buddhist temple or Tinh Tam pagoda [fr] is one of the busiest in France. Castel Henriette, built in 1899–1900, was an important Art Nouveau work by the architect Hector Guimard; it was demolished in 1969. These stone quarries were dug into the hillside and used for wine storage in 1740, divided into 30 galleries including one called Royal Gallery; converted into a brasserie in 1840, which burned down in 1880 and was rebuilt in 1898. The presence of nuns who teach at Sèvres dates back to 1788, when an act provided for the education of poor girls by four sisters of charity. At Sèvres, on Rue Gabriel Péri, were formerly the convent, school and boarding school of the Dominican teachers of Most Holy-Rosary of Sèvres, work encouraged by the Holy curé d'Ars, founded by the Sister Marie-Rose of the Sacred Heart Order of Preachers at the end of the 19th century, with Fr. Codant, in 1858, of which novices carried the name of servants of the Sacred Heart and had several foundations, in San Remo for example during the exile from France in 1903, and also an orphanage, Rue Troyon (they returned to France in 1913 and asked for Government permission to reopen a novitiate). During the war an ambulance and infirmary for wounded soldiers was installed in the convent. On some old postcards, one can admire the Chapel of the Assumptionists, located at 14 Rue de la Croix-Bosset in the quarter of La Croix-Bosset. This property, acquired on 30 April 1874, was offered to the religious of the assumption at the end of the year 1877 to become the Paris novitiate outside the city. The Oblates of the Assumption also settled in Sèvres and then a community of Assumptionist sisters. Finally, the religious of the province of Paris between 1946 and 1964, a lively workers' mission [fr] centre of Saint-Étienne in Sèvres, on Avenue Division Leclerc, a community called La Cloche, close to the Renault factories. Road to Sèvres, Jean-Baptiste-Camille Corot, 1855-1865. Marie Bracquemond, wife of Félix Bracquemond (Le Chemin des Coutures à Sèvres, National Gallery of Canada) linked to the Group of impressionists and employed at the factory, is painted Sèvres. His most famous work: Sur la terrasse de Sèvres avec Fantin-Latour (leg. Caillebotte). Constant Troyon born in Sèvres in 1810, first painter of the Barbizon school are painted Chemin de forêt and the Maison Colas, the Prise de la culée du pont de Sèvres. Constant Troyon's parents worked at the manufacture de Sèvres, his father as a painter decorator, and his mother as a buffer. He was encouraged in the field of the arts by his godfather, Riocreux, the curator of the Ceramics Museum of Sèvres and a floral painter. He lived with his mother at the factory until the age of twenty. He first exhibited three paintings at the Paris Salon in 1833, including the Vue de la Maison Colas and the Vue de la Fête de Sèvres. Wassily Kandinsky lived for a year in Sèvres, in 1906-1907, at the Rue des Ursulines and then small Rue des Binelles, became Rue Théodore Deck. He painted the La Vie Mélangée. Alain Azémar, a painter from Sèvres, living in the Rue de Caves, a street which was the theatre of many "squats" protest-painted scenes of Sèvres on many occasions. Many of his watercolours were commissioned and are displayed by the city hall. On 25 March 1957, a postage stamp was issued with a face value of 30.00 Francs, honouring the Manufacture Nationale de Sèvres, drawn and engraved by Pierre Munier. On 1 June 1975, a postage stamp was issued with a face value of 1.00 Francs, representing the International Bureau of Weights and Measures, drawn and engraved by Claude Haley. On 10 January 2009, a postage stamp was issued with a face value of €0.55, representing a Quimper flat oval earthenware, displayed by the Museum of Sèvres. The city of Sèvres is the scene for the filming of the French television series Fais pas ci, fais pas ça. Azure a bridge of wood two batteries or on waves argent issuing from base, surmounted by a huchet covered or virole and enguiche sable, to the chief or a branch of laurel and a palm in double saltire sable, displayed two vases azure overloaded each a Fleur-de-lis or. ^ Saint-Romain-de-Blaye is the Basilica situated on the banks of the Gironde where Charlemagne's nephew Roland was buried in the 'Chanson de Roland'. A famous hermit named Roman lived there. ^ "Calcul de l'orthodromie entre Sèvres et Paris". lion1906 de Lionel Delvarre. ^ Répertoire géographique des communes, publié par l'Institut national de l'information géographique et forestière, "Répertoire géographique des communes". Archived from the original on 2015-01-08. Retrieved 2015-05-23. ^ "Histoire du ru de Marivel". Archived from the original on 2015-02-18. ^ "Fiche sur Sèvres". Météo France. ^ a b "Climat et historique météo d'Orly (94310)". Retrieved 24 May 2015. ^ a b "Orly, Val-de-Marne(94), 89m - [1961-1990]". www.infoclimat.fr. ^ "PADD, p.23" (PDF). mairie de Sèvres. 10 May 2007. Archived from the original (PDF) on 3 August 2014. ^ "PADD, p.24" (PDF). mairie de Sèvres. 10 May 2007. Archived from the original (PDF) on 3 August 2014. ^ "Fiche communale d'occupation des sols". Iaurif. ^ "PADD, p.6" (PDF). mairie de Sèvres. 10 May 2007. Archived from the original (PDF) on 3 August 2014. ^ "PADD, p.7" (PDF). mairie de Sèvres. 10 May 2007. Archived from the original (PDF) on 3 August 2014. ^ "Urbanisme". site de la mairie de Sèvres. Archived from the original on 2009-04-03. ^ a b "Plan Local d'Urbanisme" (PDF). Archived from the original (PDF) on 3 August 2014. ^ Albert Dauzat, Les noms de lieux, Paris, 1926, p.197. ^ a b Hippolyte Cocheris, Anciens noms des communes de Seine-et-Oise, 1874, "Corpus Etampois". ^ Michel Roblin , Le terroir de Paris aux époques gallo-romaine et franque, page 273. ^ Hérald, Jean-Marc (9 November 1966). "L'" opération-tiroir " de Sèvres". Le Monde. ^ Rollin, François (19 May 1981). "Vie locale et bulletins de vote : Sèvres a les yeux de Chimène pour son maire communiste". Le Monde. ^ "La course aux bureaux dans l'Ouest parisien, Sèvres en chantier". Le Monde. 25 August 1988. ^ "La liste des 82 communes équipées de machines à voter". ZDNet.fr. ^ "Liste des communes équipée de machines de vote électronique dans le 92". Archived from the original on 2008-12-09. ^ "Scrutin du 29 mai 2005 sur la constitution européenne - Antony". ministère de l'intérieur. ^ "Résultats électoraux du premier tour et du second tour". Le Figaro. ^ "Résultats électoraux indexés". ministère de l'intérieur. ^ "A Sèvres, le dissident DVD élu avec deux voix d'avance !". Le Parisien.fr (in French). 31 March 2014. ^ "Conseil communal des jeunes". site de la mairie de Sèvres. Archived from the original on 2009-12-15. ^ "Les maires de Sèvres". www.francegenweb.org. ^ Rollin, François (6 December 1982). "SÈVRES : le " cas " Fajnzylberg". Le Monde. ^ "Le P.S. soutient M. Fajnzylberg à Sèvres". Le Monde. 6 January 1983. ^ Rollin, François (10 February 1983). "M. Fajnzylberg ne veut être l'otage de personne". Le Monde. ^ Rollin, François (10 March 1983). "À Sèvres : les communistes " orthodoxes " se rallient au dissident". Le Monde. ^ Rollin, François (18 March 1983). "M. Fajnzylberg : la gauche aurait pu gagner si le P.C. avait joué le jeu honnêtement". Le Monde. ^ "Élection du Bureau de Grand Paris Seine Ouest" (pdf). Agglo. Grand Paris Seine Ouest website. Communiqués de presse. 9 April 2014. ^ "Tribunal d'instance de Boulogne-Billancourt" (PDF). cour d'Appel de Versailles. ^ "Tribunal de Boulogne-Billancourt". cour d'Appel de Versailles. 27 May 2008. ^ a b c "Atlas français de la coopération décentralisée et des autres actions extérieures". Ministère des affaires étrangères. Archived from the original on 2013-07-01. ^ "Mărăcineni". Retrieved 23 May 2015. ^ "Sèvres". EHESS. Retrieved 23 May 2015. ^ "92072-Sèvres 2006" [92072-Sèvres 2006] (in French). Retrieved 23 May 2015. , "92072-Sèvres 2011" [92072-Sèvres 2011] (in French). Retrieved 23 May 2015. and "92072-Sèvres 2012" [92072-Sèvres 2012] (in French). Retrieved 23 May 2015. ^ "Résultats du recensement de la population des Hauts-de-Seine en 2007". 2007 Census: INSEE. Archived from the original on 2011-05-20. ^ "Jean-Pierre Vernant, un Compagnon de la Libération". site du lycée Jean-Pierre-Vernant. 19 October 2007. Archived from the original on 4 June 2012. ^ "Page d'accueil". site de la Maison de Sèvres. 23 June 2009. ^ "3e dictée de Sèvres". mairie de Sèvres. Archived from the original on 2014-08-03. ^ "Le nouvel hôpital". centre hospitalier des 4 villes. Archived from the original on 2007-10-11. ^ "Le site de Sèvres". centre hospitalier des 4 villes. Archived from the original on 2010-02-21. ^ "SEVRES F.C. 92". Retrieved 24 May 2015. ^ "Coupe de France, 4ème tour, dimanche 5 octobre 2008, SEVRES FC - RED STAR FC 93 : 1-5 a.p. (1-1 90 mins) (1-0)". Retrieved 24 May 2015. ^ "Carte des doyennés janvier 2010". le site du diocèse de Nanterre. Archived from the original on 2012-02-19. ^ "Liste des paroisses des Hauts-de-Seine". le site du diocèse de Nanterre. Archived from the original on 2012-01-25. ^ "Fichier RFDM2010COM : Revenus fiscaux localisés des ménages - Année 2010". INSEE. ^ "PADD, p.9" (PDF). Mairie de Sèvres. 10 May 2007. Archived from the original (PDF) on 3 August 2014. ^ "Fiche communale d'occupation des sols sur le site de l'Iaurif". Archived from the original on 2012-06-04. ^ "Église Saint-Romain". topic-topos.com. Archived from the original on 2009-04-23. ^ "Découvrir Sèvres". site de la ville de Sèvres. Archived from the original on 2010-03-27. ^ "Monuments historiques". Retrieved 24 May 2015. ^ "Inventaire général du patrimoine culturel d'Île-de-France". Retrieved 24 May 2015. ^ "Monuments historiques". Retrieved 25 May 2015. ^ "Maison des jardies - Présentation". site de la ville de Sèvres. Archived from the original on 2009-04-17. ^ "Musée national de céramique de Sèvres". www.museums-of-paris.com. 10 August 2006. Archived from the original on 31 August 2009. ^ "Le Castel Henriette - Sèvres ( Hauts de Seine) - Hector Guimard architecte 1899 - 1903". lartnouveau.com. ^ "L'ART NOUVEAU "Villa Castel Henriette " A SEVRES . H. Guimard". souslecieldeparisetdeversailles. 12 June 2009. ^ "Hector Guimard - Castel Henriette vers 1900". musée d'Orsay. 2006. ^ "Guimard". www.stanries.com. Archived from the original on 2009-05-05. ^ "INVENTAIRE DE L'ŒUVRE BÂTI D'HECTOR GUIMARD". www.lecercleguimard.com. ^ "Monuments historiques". Base Mérimée. Retrieved 24 May 2015. ^ "Cartes postales anciennes de la chapelle de l'Assomption à Sèvres". ^ "Lieux de mémoire (communautés assomptionnistes parisiennes au XIXème siècle)". site des augustins de l'Assomption. Archived from the original on 2010-06-13. ^ "CONSTANT TROYON". Encyclopédie Universalis. ^ "Faïence de Quimper, exposée au Musée de Sèvres". phil-ouest.com. 13 February 2009. ^ "Bureau international des poids et mesures de Sèvres - La convention du mètre". phil-ouest.com. 15 August 2007. ^ "plat ovale en faïence de Quimper, exposé au Musée de Sèvres". phil-ouest.com. 6 February 2009. Sèvres [Sèvres]. Mémoire en images (in French). éditions A. Sutton. May 2000. ISBN 2842534794. Mercier, Pierre (1975). Sèvres en cartes postales anciennes [Sèvres in old postcards] (in French). Zaltbommel, Netherlands: Bibliothèque européenne. preface by Georges Lenormand (mayor of Sèvres). Whitehead, John. Sèvres sous Louis XV 1740 - 1770 [Sèvres under Louis XV 1740-1770] (in French). éditions Courtes-Longues. ISBN 2352900603. "Jardies, Gambetta and Balzac". Gallica (in French). Wikimedia Commons has media related to Sèvres.